At BJ Tidwell, we’re making headlines with our stunning new line of custom cabinetry, beautiful cabinet door designs, new leadership and team members and new locations springing up across the country. When we’ve got news to share, you’ll find it right here. 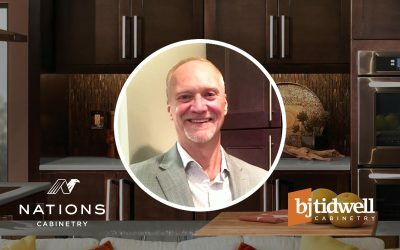 As the Chief Executive Officer of BJ Tidwell Cabinetry, Mr. Coady will provide leadership and overall direction to the Organization. The CEO shall have overall accountability, responsibility and authority for the management of the day to day business.